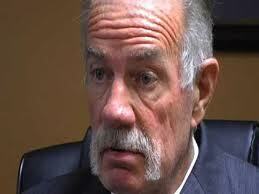 According to statements by Florida preacher Terry Jones, God wants our soldiers to die. God wants Terry and his army of toothless inanity to enrage the muslim world, whilst our armed forces, our sons and daughters are in the crosshairs, brilliant. At least Al Qaeda thought it was brilliant, because it proved to galvanize uneducated, disconnected communities against the west, which serves their purposes very well. I mean really, you know how your flock would react if they learned that muslims down the street were burning bibles, right? General David Petraeus publicly stated that it was a BAD idea. But don’t listen to him Terry, he’s only in charge and actually has responsibility for our sons, our daughters, our mothers and our fathers fighting in that part of the world. General Petraeus lives and breathes this issue, day in and day out. You, Terry, on the other hand have responsibility for their souls. Thank God. Because you’ve traveled extensively over there and are well aware of the situation, right Terry? So for God’s sake, don’t listen to Petraeus. You have God on your side. Were Jesus alive, he’d be standing right next to you, holding his Bic Lighter ready to torch the next copy, because that was his way, right? I distinctly remember reading the “Search & Destroy” scripture, the “We’ll all live, after we kill you” scripture, the “Slash each cheek with a bowie knife” scripture. Sure, those were my favorites. Thank god you’re not bound by such incredulous notions, right Terry? Because someone of your obvious mental superiority and worldly wisdom would surely recognize the far-reaching repercussions of their actions, right? Obviously God has a greater plan. You’ve spoken to him, right? God is aware that the seemingly innocuous action of setting fire to the tantamount symbol of an immense portion of the world populations belief system won’t negatively affect my cousin in Afghanistan, right. I can count on you Terry, right? Should my cousin direct their amen to God, or you Terry? David, why are there so many crazy people? I think that I’m going to blame the Koch brothers, Charles and David. I’m assuming that you know all about them. They are both billionaires, Koch Industries includes oil, paper,Lycra and are financing the Tea Party, Fox News, members of congress ( mostly republican, but also strange Blanche Lincoln), and 68 organizations that sound as though they support the American way of life, but they don’t. There is a marvelous article that appeared in “THE NEW YORKER” titled COVERT OPERATIONS, subtitled The billionaire brothers who are waging a war against Obama. Authored by Jane Mayer. It’s full of information that the brothers don’t want you to know. Maybe you already know all this. It’s ugly. Previous PostPrevious Carly Fiorina – Is this a Joke?